The Heroes of Legend discover a strange oasis, and mysteries are afoot. Set of dice for fantasy RPG tabletop games. Cube and polyhedrons with numbers. Flat vector icons. It’s a TTRPG set in the Space Casey universe! Powered by Bulldogs, from Galileo Games. In this episode, the crew of the Juggernaut begin their adventure proper! The Heroes of Legend have reunited with Melicanth, and it’s time to compare notes. Christiana and Mike update their progress, then have in-depth discussions of Black Panther, Roma, Isle of Dogs, Incredibles 2 and The Ballad of Buster Scruggs. It’s a TTRPG set in the Space Casey universe! Powered by Bulldogs from Galileo Games. We conclude our character building and worldbuilding session. 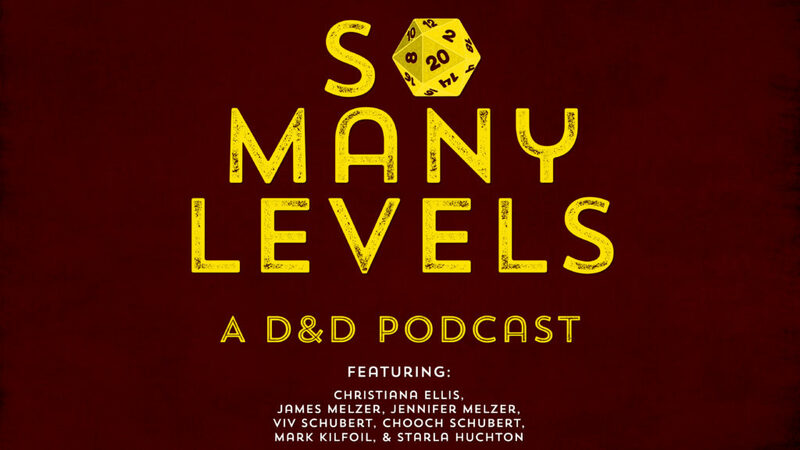 SML82 – So Many Levels: A D&D Podcast – Episode 82: Avast! Aarakocra! It’s a sky-pirate one-shot as our feathered friends sail the clouds of the Elemental Plane of Air! It’s a TTRPG set in the Space Casey universe! Powered by Bulldogs from Galileo Games. Join us for some character building and worldbuilding!